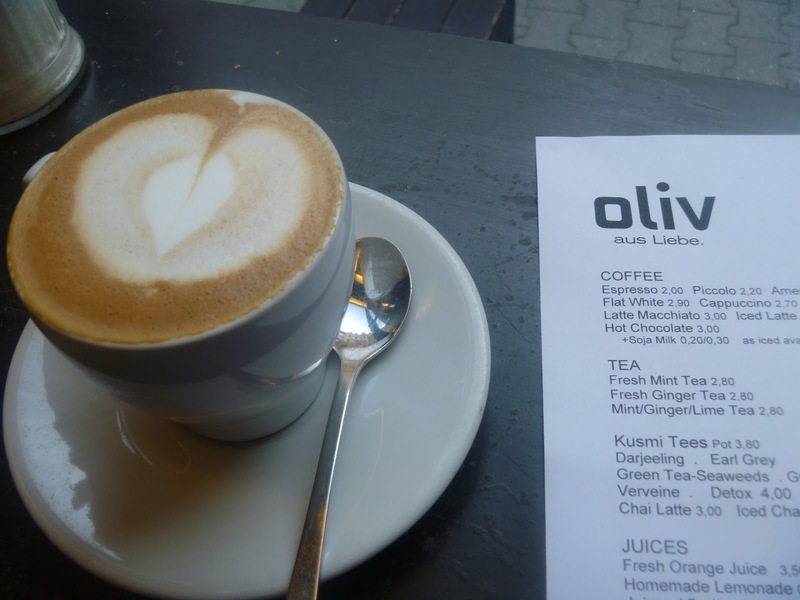 The other day I was on my way to the Sammlung Hoffman Art Gallery – when I happened upon the very charming Oliv cafe, so charming I had to go in! This place is beautiful, with a wonderful vibe and a nice selection of food and drinks to keep you lingering all day. The thing I’m really noticing this trip to Berlin is how good the bread is. It comes in many variations but is usually dark, moist, often filled with lots of different seeds and grains, with a little butter: a meal in itself. The perfect foil to a good bowl of soup. 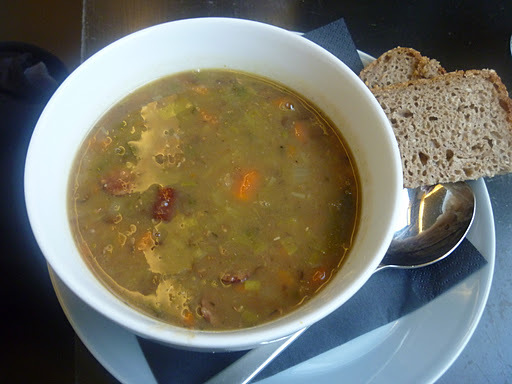 This was my bowl of lentil soup which had chunks of spicy sausage (wurst) in it – delicious! 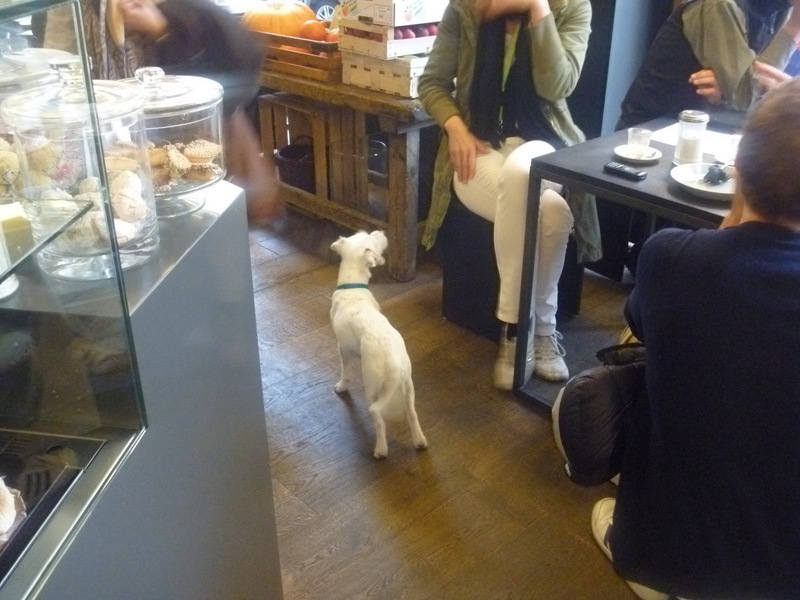 This dog was too cute I love how casual they are her ein Berlin about things like dogs in cafes or people carrying beer or wine bottles around with on the streets or on the U Bahn, last night coming hom eon the train (it was very very late, don’t ask!) a guy walked through the car I was on smoking a joint, it felt more like a Frat party than a subway car! 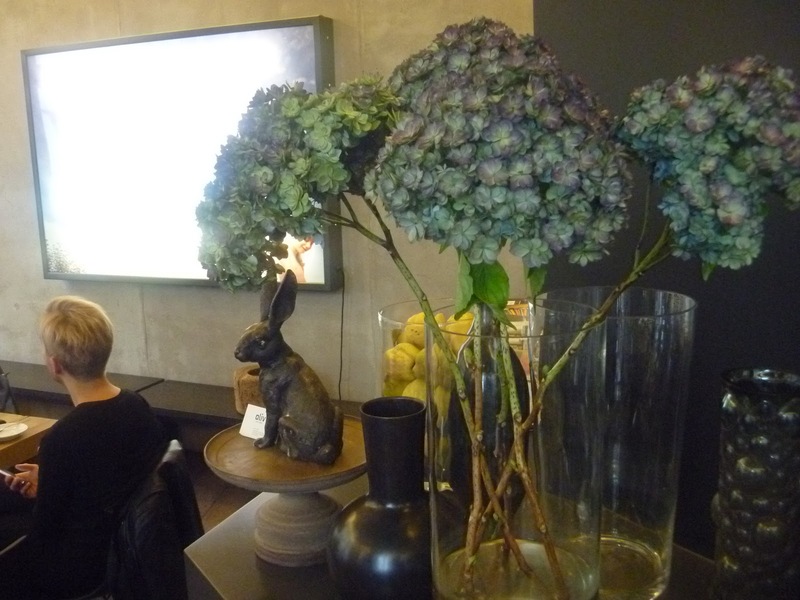 This entry was posted in Travel and tagged Berlin, Oliv, Restaurant. Bookmark the permalink.